Thanksgiving: a time to give thanks, be with family, and probably everyone’s favorite, eatting a load of food while watching sports Football. 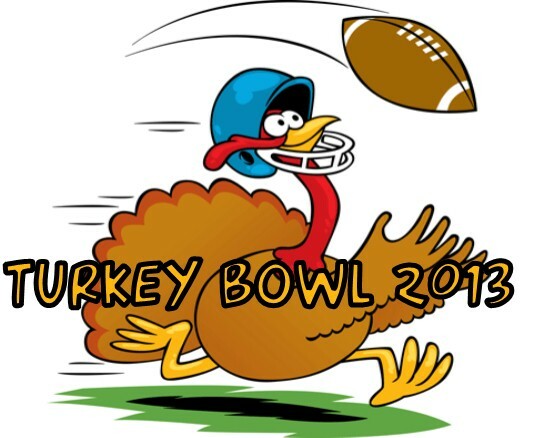 There’s no use denying it, Football and Thanksgiving go hand-in-hand. Yes, there are plenty of other sports going on this weekend, but Football remains king. Ground Rules: As this is a “must-watch” list for the weekend, I’m going to pick games that aren’t at the same time. The order will be in order of Thanksgiving foods, not chronologically. This one has all the fixins to be an instant classic. Had to throw in the pun. It’s pretty obvious why this game is this weekend’s equivalent to the centerpiece of every Thanksgiving meal. #1 versus #4. And this time, it won’t disappoint. A full game of smash-mouth football, Matty D has been chewing at the bit for a game like this. I’ve gone on about my love for rivalries, the Iron Bowl never ceases to be great. Remember the last time Auburn was good? Remember that Iron Bowl, SuperCam at his finest. Just like Turkey, this game will leave you full of great football. Winner goes to the SEC Championship, here we go. Johnny Football may have lost his chance at a National Title but there’s still the Heisman. 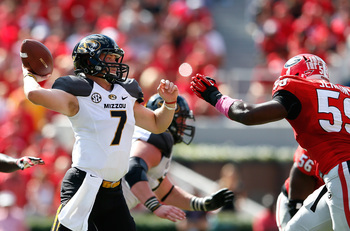 He wants to be the second two-time winner of the award and I’m sure (Matty D’s positive) that he would love to wreck Missouri’s championship hopes as well. Keep grinning, Manziel. Mashed Potatoes are pretty “stand-alone” food. It goes extremely well with Thanksgiving Dinner, but you really can eat any time during the year. This is a “stand-alone” game. Non-conference showdown for rankings and more-importantly, pride. Tajh Boyd has never won against the Gamecocks. Clowney won’t be sitting for this one. I’m trying to choose games for our menu that won’t (for the most part) crossover, but this game is too good to pass up. Duke vs UNC in football is important? Duke is ranked in football? Yes and Yes. 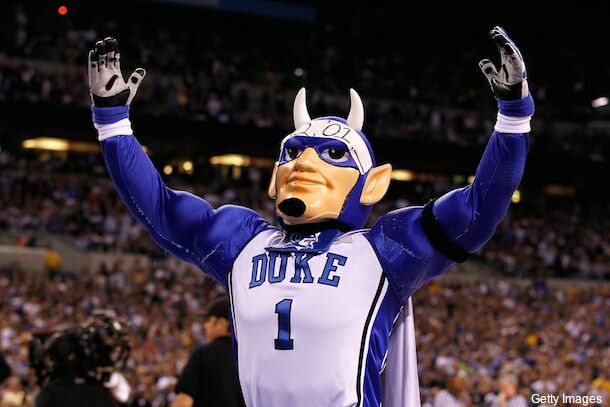 The Blue Devils have had a phenomenal season that will result in a bowl birth, and a good bowl game at that. With a win in the (one of many) “Battle for the Victory Bell,” Duke will go to the ACC Championship Game for the first time in school history. And wouldn’t that be sweet? Like Yams. 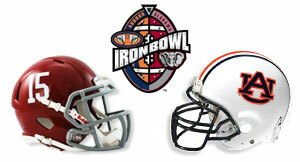 Why doesn’t this rivalry have an awesome image like the Iron Bowl? 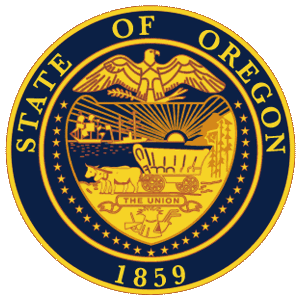 Well in case you couldn’t tell by the state seal, this is Oregon State @ #13 Oregon. This isn’t the game we all thought it might be (rankings-wise) a month ago, thanks Stanford. None the less, this is a classic PAC-12 Rivalry that, like the Iron Bowl, never fails to a-maize. See what I did there? So many puns. Whenever I talk about Cranberry Sauce/Jelly (whatever you call it), people either love it or hate it. The same can be said about BCS Bowl crashers. With Northern Illinois winning last night, Fresno needs this to not only remain a possible BCS crasher, but also to qualify for the WAC Championship. Love it or hate it, cranberry sauce is there and this game, like last night, is relevant. Nothing is more American than playing football on Thanksgiving. Nothing is more American than Apple pie. Nothing is more American than Texas. This rivalry is always a thanksgiving treat, despite the relevancy of the schools. Mack Brown already defeated Oklahoma and had a great run up until they face OK State last week. But this game may be what decides his fate as the Ol’ ‘Ball Coach of the Longhorns. Aside from the previous pick, nothing on this menu is battling the NFL, and for a reason. The day games on Thursday are better than the Steelers/Ravens game Thursday night anyway and the Monday Night Showdown in Seattle is thankfully not going up against anything. I’ll let you decide what you’ll watch on Sunday because I’d be biased and say Eagles/Cardinals for the early game. To each his own. Matty D will have our picks for the week later today. Enjoy this full lineup of football and sports Thunderblog faithful! Have fun with your families tomorrow and with your friends tonight. That being said, please don’t drink and drive. Call you a cab if you need. Black Wednesday will certainly be a great time, don’t ruin it by getting behind the wheel. Also, don’t get behind the wheel on Friday. I know there are awesome deals but it’s ruthless out there on Black Friday. Sit back, watch these games, and relax.